Our district has been in the implementation of the Common Core for the last 2 years. 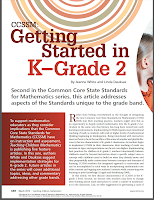 Last year, they rolled out CCSS in K-1 and had overall module professional development that provided an overview for all grades. I am not one to wait. I was in my last year of a 1-5th grade looping span and wanted to get myself as ready as possible. These are great places to get your feet wet and then some. These are also some very powerful reads that will get your wheels turning about your craft and the strategies you use in both reading and math instruction. Before last year, I thought I was giving my students the best there was. I thought I planned and engaged my students in demanding and productive instruction. But after last year, I learned that in my previous years teaching we could have accomplished a lot more and in greater breadth. I am a lot more focused this year. One area I am really trying to improve on is partner talk procedures, structure, and routines. Why? The Speaking & Listening standards may seem simple at first glance, but they require sophisticated processes. Students must be able to explain their own thinking in complete sentences and cite evidence to support their conclusions. I have my students do Think-Pair-Share all the time, but I wanted the conversations to be more about their work, how they got there, and to really listen in to their partner. We still have a long journey ahead of us, but I feel we are making some headway. Here is a little clip on one such conversation. I know that it is very difficult to change the way we do things. You have to change your thinking about what you think students can do and realize that you may have to change what you have always done to meet that challenge. I think so many people can be negative about it, because it is hard to change...and it is a very huge change. It is scary to find yourself on unstable ground, to question yourself, and to rethink your teaching. You have to hone your craft daily. You have to push yourself to learn more than you ever thought possible. You have to research and read like crazy, you have to try it on, stretch it out, rip the seams, and in the process you will get all mucky and uncomfortable. I like to think of myself as a caterpillar that continuously must go through metamorphosis. On my best days, I am a beautiful butterfly enjoying the nectar of the flowers, and on my worst days, I am back to being a caterpillar, stumbling form leaf to leaf trying to get my fill of teaching knowledge. Either way, I change again and again. I like to think that due to change (even with all it ugliness), there is always beauty in the end...that's life. 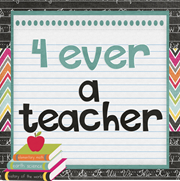 These are just some whirling thoughts and ideas from an educator who wants to always better herself, her craft, her profession...for the sake of the children she teaches. 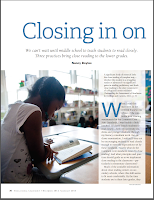 What are your thoughts on CCSS?